Combining ease of use with contemporary style, our classic space saving uPVC patio doors slide on high quality stainless steel tracks, delivering security, style and convenience. Adding easy access to your garden or outdoor areas, you can enjoy a seamless transition from indoors to outside. * Height up to 2450mm dependant on width. 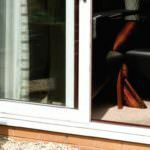 Our glass uPVC patio doors are available with a large opening span, allowing you to consider three to four panes in your patio door rather than the standard two panes that slide open. Due to the strength and robust nature of our uPVC patio door profile, they are perfect for wider openings to create an amazingly seamless look. Whether you are adding your uPVC patio doors to a conservatory, orangery, sun room, house extension or an existing room in your home, Arkay Windows can tailor your patio doors to meet your needs. Increase the natural light that enters your home and enjoy easy access in and out of your London property with low threshold options. Our uPVC patio doors are low maintenance, cost-effective and a worthwhile investment. You won’t need to spend time or money on the upkeep of your patio doors as they will look brand new time and time again, even after heavy or frequent use. We offer a 10 year frame guarantee, so that you have peace of mind that your patio doors won’t fade or discolour over time. Take a look at our videos to take a look at why our uPVC patio door range perfectly suits a wide range of applications and projects. There are a number of ways of increasing the thermal efficiency of your London home and our uPVC patio doors are one of them. 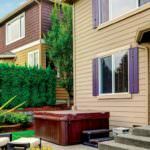 With a multi-chambered profile that works to break up mini-convection currents and traps warm pockets of air, you’ll find your home is warmer for longer all year round. This helps to keep energy bills down and to regulate the temperature of your home, making it comfortable and inviting at all times of year. With an ergonomic design, our uPVC patio doors benefit from an effortless opening mechanism that is smooth and noiseless. This helps to make sure you keep cold air out as they are quick to open and close, with safety features inbuilt as standard to protect from trapped fingers. Take a look at the brochure below which is available as a download. 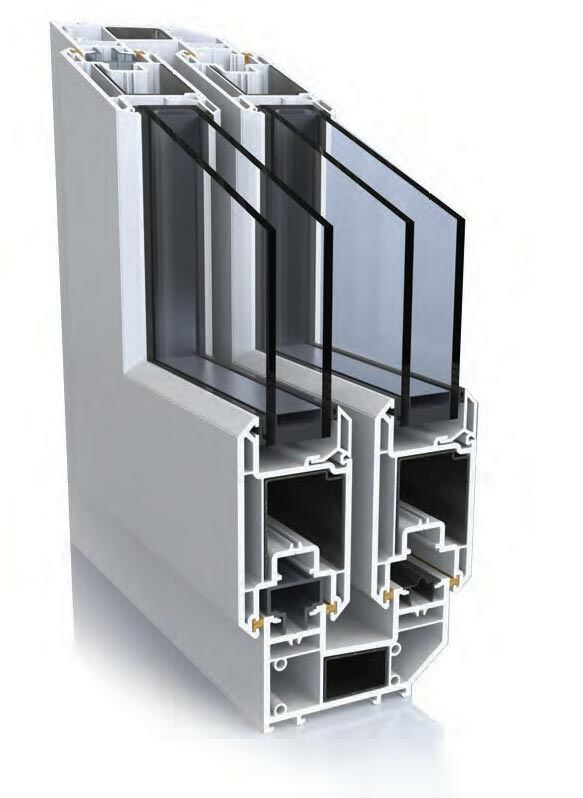 In this brochure, you’ll find the technical specifications for our uPVC patio door range. Our uPVC patio doors are designed for modern and contemporary living, adding an easy glass transition from the indoors to the outdoors. Whether your patio doors open up onto garden space, pool decking, an entertainment area, garden bar or other, our doors are the perfect fit. Our uPVC patio doors are created to be able to withstand even the most adverse weather conditions, tested to meet exceptional standards in terms of performance and functionality. Our uPVC patio doors are put through stringent and thorough testing to make sure they are up to the task of providing your London home or project with the utmost quality, security, functionality and form. You can contact us today for a free quote for your uPVC patio doors. Whether you’re looking for your patio doors to be installed into a residential or commercial project, we can assist. Simply visit our contact page and fill out our online contact form. A member of our expert team will be able to answer any questions you may have. We are happy to recommend or advise on the most suitable products for your needs and requirements. Our uPVC patio doors have a modular locking mechanism inbuilt into the frame, delivering unparalleled strength and the highest level of security available. As well as this there are expert functions inbuild such as a decelerator and hidden ‘crash stops’ within he mechanisms so that the security functions do not affect the slim line look of the profile. 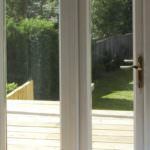 Are your uPVC Patio Doors Silent? Fitted with a multi-wheeled air glide system, the sliding patio doors that Arkay Windows create are perfectly balanced and provide a silent action. The built in brushes sweep away minor debris each time the doors are closed keeping it efficient at all times. You won’t have to worry about noise when operating your uPVC patio doors and you’ll find them easy and simple to use. Are there customisation options for your uPVC patio doors? As with all of our products, we can tailor your uPVC patio doors to your exact needs and requirements. From a range of colours and handle options, to configuration and panel size and number, we can help create a bespoke solution for your London home.